When I was growing up, one of my favorite foods was a “girl” cheese sandwich (I once asked my parents why the sandwich was just for girls). I still love a good old, plain grilled cheese every now and then. 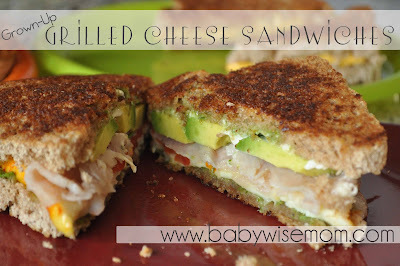 In fact, when Brayden was a baby, we found ourselves eating grilled cheese what seemed like ALL THE TIME. We were poor (he was going to school full time and I was a full time SAHM–and for some reason having one child seemed like a lot of work?). And so my husband and I started making what we call “grown-up” grilled cheese. My tastes have expanded and I like a bit more flavor going on with these. This meal is super easy. And here is the best part–you can make it with whatever you like and whatever you have on hand. Another part I like is that it is pretty much a meal all in one–you have your veggies, meat, dairy, and grains all in one package. You just put your ingredients on your bread. Next you butter the outside of the top piece of the bread and then put the sandwich, butter side down, on a hot frying pan or skillet. You then butter the outside of the other piece of bread (NOTE–I have noticed that in restaurants, they tend to use melted butter and baste the butter on there rather than spreading butter on). Once the bread is browned, flip it over and brown the other side. Serve with tomato soup or balsamic vinegar for dipping. You could have some pickles on the side–why are pickles good on the side with sandwiches? A salad would be nice. 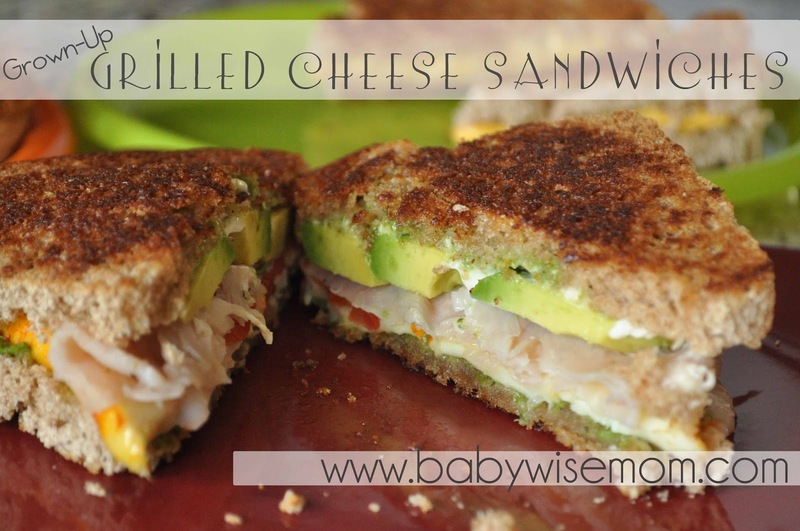 What do you like to put on a grown-up grilled cheese? Mayo is a great alternative to butter. It spreads easily and does the job just as nicely. Caramelized onions! Put them in a pan with a little olive oil and sugar and sauté on medium heat until they are caramelized. Love them on a grilled cheese. Heather I haven't ever tried that!Julie YES! I love caramelized onions. So good. I haven't ever tried them on grilled cheese. Thanks for the idea!